The adrenal glands are mighty little endocrine glands that manufacture and secrete an array of vital hormones that influence numerous functions within the body that are essential for optimum health. In ancient times, life was lived at a slow pace in harmony with nature and our adrenal glands prepared our body for fright, fight or flight. Today, as we strive to meet the demands of our busy lifestyles, our adrenal glands are constantly over-stimulated through daily stress, emotional anxiety, harmful chemicals from our diet, environment and so forth, which results in adrenal fatigue. 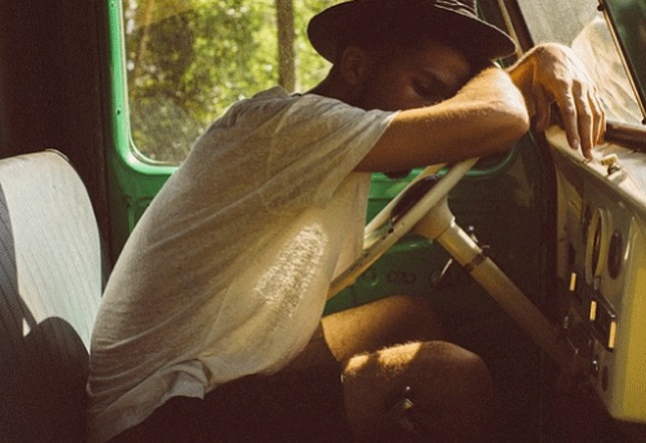 Symptoms of adrenal fatigue include low mood, tiredness, food cravings, low blood sugar, low blood pressure, anxiety disorder, body aches, shallow breathing, low stamina, digestive ailments and low immunity. Ancient practices to heal adrenal fatigue cleanse, replenish, and strengthen our solar plexus chakra which is linked to our adrenal glands and pancreas. This chakra governs digestion and oxygenation, is associated with the color yellow, and assists us in connecting with our inner strength and balance. The vibration of specific natural herbs, foods, plant oils, mantras, and asanas resonate harmoniously with the energy of our solar plexus chakra, which gently restores and heals our adrenal glands. • Saffron Tea balances the mood and protects the body and mind from stress and anxiety. Add a few strands to a cup of hot water. • Ginger Root Tea grounds the emotions and strengthens the body's stress response. Add one teaspoon of fresh grated root to a cup of boiling water. • Turmeric Root Tea purifies the tissues and calms the nerves to promote sleep. Add one teaspoon of fresh grated root to a cup of boiling water. • Cinnamon Tea relieves stress and replenishes the adrenal gland function. Add one teaspoon of crushed cinnamon stick to a cup of boiling water. Allow the tea to infuse for a few minutes, strain and add jaggery (concentrated unrefined sap of the sugarcane plant) to sweeten, which is rich in nutrients and naturally cleansing. Pineapples, mangoes, bananas, yellow peppers, yellow squash, swedes, lemon juice and grated lemon peel, millet, corn, yellow split peas, sunflower seeds and organic ghee. • Black Pepper is stimulating, enhances digestion and increases energy. • Coriander is balancing, eases digestive ailments and relieves fatigue. • Sandalwood is grounding and calming and instills a sense of inner peace. Add a few drops to your natural moisturizer and apply to your hands and feet throughout the day. Mantras (rhythmic sounds) resonate with the chakras to purify and strengthen their energy. • Sit comfortably and close your eyes. • Bring your awareness to your solar plexus chakra, located in your upper abdomen. • Inhale slowly and deeply. • As you exhale, chant the sound 'R..a..a..m' in one long out-breath. • Start the sound loudly, allow it to quiet and end it almost silently. • Inhale and repeat the sound. • Continue for up to ten minutes. • With each chant, allow any stress or negative emotions to be released from your solar plexus chakra. • Practice twice a day. • Dhanurasana (Bow Pose) is a strengthening backbend pose which tones the adrenal glands and regulates their hormones, improves digestion and blood flow, and calms an over-active nervous system. • Bharadvajasana (Bharadvaja's Twist) is an opening twist pose which oxygenates the adrenal glands, removes imbalances from the digestive organs and strengthens the body's response to stress. • Viparita Karani (Legs Up The Wall Pose) is a restorative inverted pose which calms the adrenal glands, relieves anxiety and insomnia. For deeper relaxation, open the legs into a 'V' shape. Restoring our adrenal glands with the simple ancient holistic practices gently calms our body, quiets our mind and soothes our emotions, so that we can reconnect with our inner strength and balance.